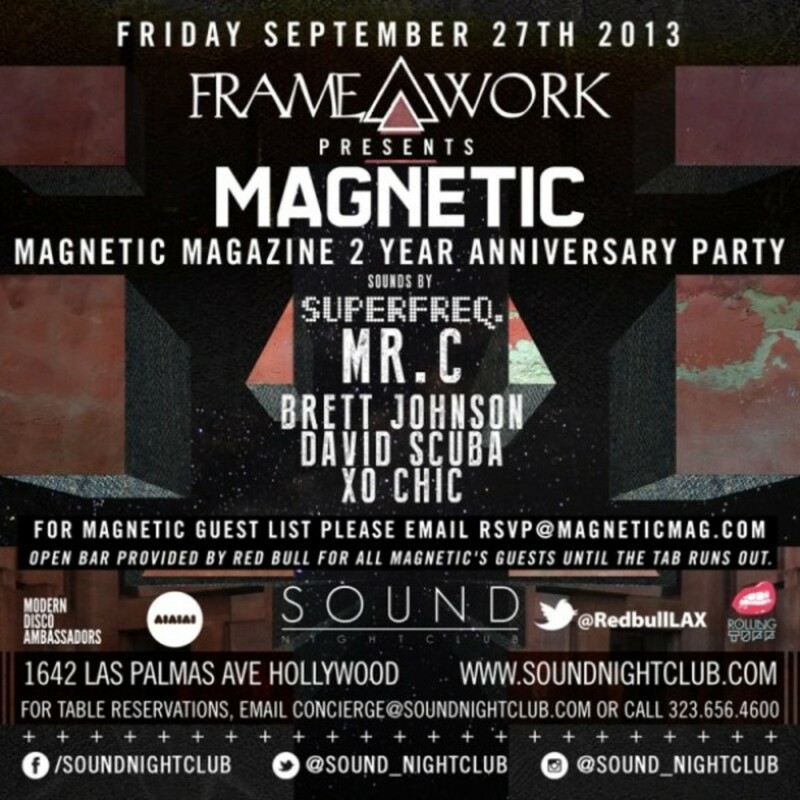 On Friday, Magnetic is turning two and we are inviting everyone out to come by and celebrate with us. 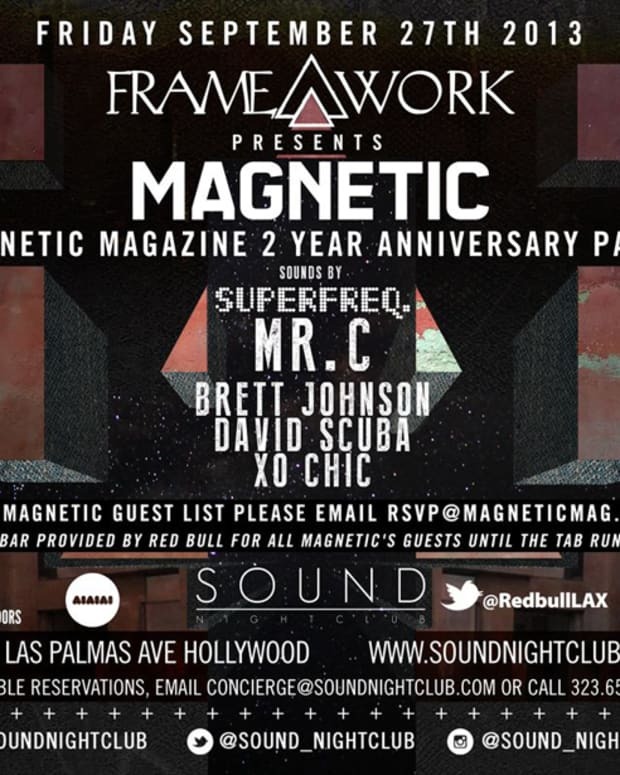 We have some deep DJs from the Superfreq label including Mr. C, Brett Johnson, David Scuba and XO Chic. All Magnetic guests will be treated to an open bar courtesy of Red Bull until the tab runs out, so get there early if you want a couple drinks on the house. Give aways from our favorite headphone company AiAiAi. This is going to be an amazing night with some really great tech/deep house music. As if that isn&apos;t enough, here is a breakdown of the other events this week. Consider this lil culture catalogue of events the creme de la creme if you will. Bon appetit! Inspired by Los Angeles emerging creative movement, SSNS pairs various artists in a multi-sensory soiree designed to share the art of experience. Natology and The Standard, Downtown LA are proud to present in inaugural event for SSNS 001 // COSMIC SESSION. Designed to celebrate the art of experience, SSNS is art in the form of a party where the inner club-kid collides with new technology invoking a focused progression through visual and sonic stimulation. SSNS 001 // COSMIC SESSION is a multi-sensory soiree against the audio backdrop of essential disco and new disco carefully matched with award winning visual artists. Alongside internationally exhibited visual artists FRANCESCO LOCASTRO, LINDSAY SCOGGINS and CAROLINE GEYS, DAN TERNDRUP (Cosmic Kids) will DJ a curated set with visual direction by Scoggins. Hosted by local drag celebrity and arts/event curator PHILLIS NAVIDAD, pop- up creative invitationalists CITIZENS OF CULTURE and arts/events marketing company CREATIVE HUSTLE, SSNS will bring together a new creative art scene developing in the heart of Los Angeles. SSNS will kick the night off with complimentary cocktails and hors d’oeuvres, featuring a signature cocktail by food alchemist SUPPIN’GOOD bringing the flavor of the experience to your taste buds. Integrating an element of fashion, SSNS artist will be styled in the work of DTLA designers BABYLON CARTEL & DECHEL MCKILLIAN. Artisan cocktails provided by Tito’s Handmade Vodka and an interactive light installation will introduce audiences the new Philips Hue. Natology is a Los Angeles curator that seeks to expand the experience of art by merging new mediums and avenues to expand the scope and reach ofcreators. Dan Terndrup (Cosmic Kids) Half of the Producer / DJ duo Cosmic Kids, Terndrup is a music connoisseur who specializes in creating an upbeat atmosphere that immerses his audiences in a dance experience that’s virtually impossible to turn down. 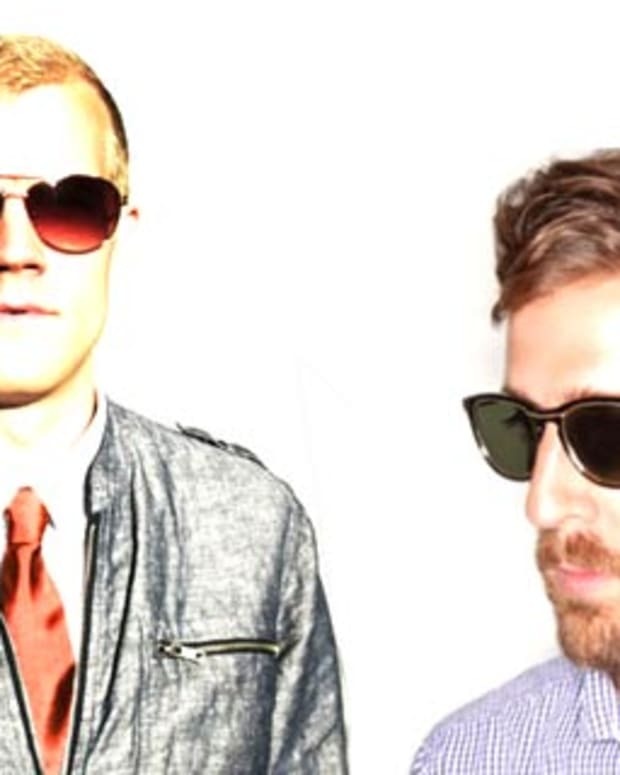 Terndrup’s remix roll-call includes Holy Ghost!, The Rapture, Local Natives, Poolside, and Classixx. Immerse all of your senses this Thursday friends. If any of you aren&apos;t familiar with the Lights Down Low craze aka LDL has been a primary fixture in San Francisco nightlife for over 6 years now. Bringing in ahead of the curve talent locally and from across the globe Lights Down Low is where people in the know go to party and hear the best in dance music. Not afraid to mix genres, cultures, crews, and gender Corey Sleazemore and Richie Panic work hard so that the audience of LDL can party with ease, express themselves and maybe become intoxicated. Well L.A we are in for a treat cuz the LDL crew is comin&apos; in hot to the southland to collab for the FAR AWAY #007 event. 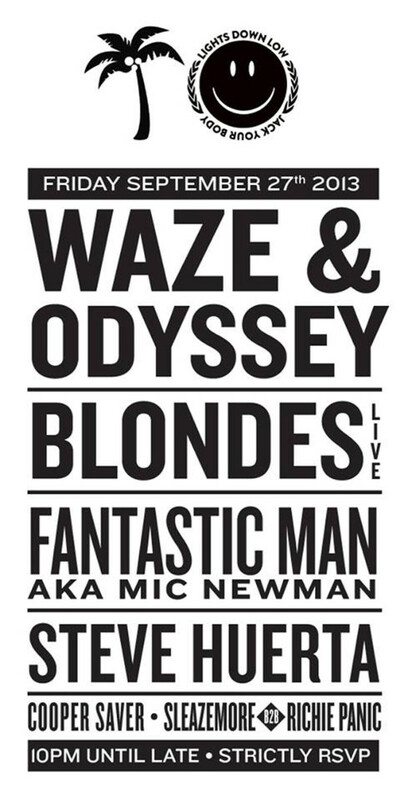 With a live performance from BLONDES and some other nasty tricks up their musical sleeves. Let&apos;s boogie, shall we? The stylish bad boys club otherwise known as L.A based brand Chambers, is throwing a rager at Los Globos this Friday. Originally built as an American Legion Dance Hall, Los Globos plays a prominent role in LA&apos;s musical history. Other than Latin dancing and one mean cocktail, this institution located in the heart of Silverlake is a haven for live music of every genre. Friday night will feature Jason Stewart, better known to the world as Them Jeans, To categorize him as merely another DJ/producer would be to understate his drive and contributions to the current musical landscape in Los Angeles and increasing influence in the global music community. The driving force behind world famous club night Dim Mak Tuesdays at Cinespace for over five years as both a DJ and promoter, helping to showcase acts as eclectic and renown as Justice, Lady Gaga, and Kid Cudi. 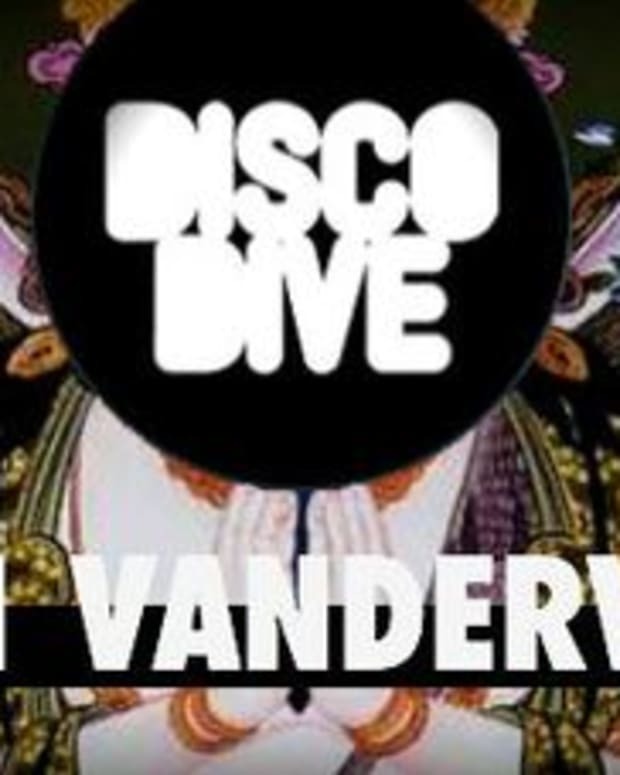 His well thought out, genre-bending sets (spanning from house music to southern rap) have recently seen him gaining recognition from publications such as URB, Vapors, and XLR8R, while expanding his fan base through recent touring throughout North America and Europe. A personal local fave of mine,DJ Killer Cam is a real crowd pleaser. This self proclaimed party machine, nub wrangler, hang looser, frog splash specialist has a current residency at Hemingways Lounge and can be found all over the damn city turning some serious dj tricks. Sounds pretty turnt up to me kiddies. TWERK NOWITZKI (YY) FREE // 21+ // RSVP ONLY. 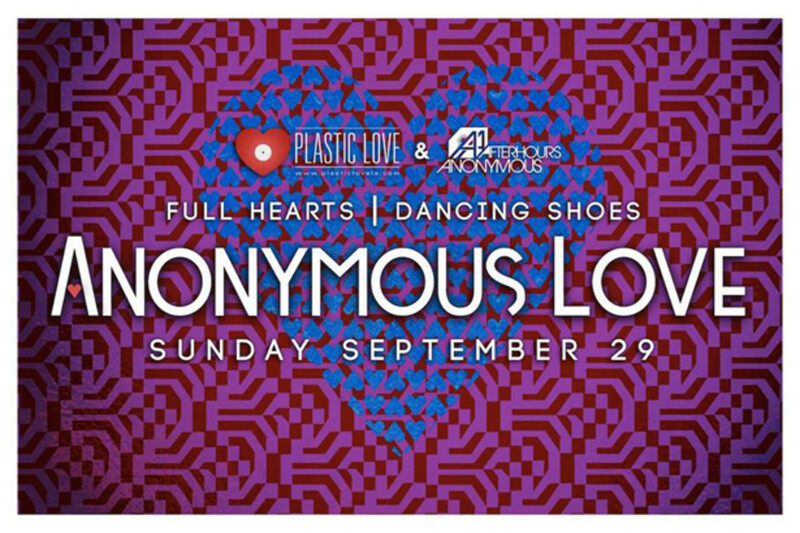 For those who were M.I.A this previous sunday funday, ANONYMOUS LOVE is a delectable new dance event in the heart of Hollywood at Sadie Kitchen & Lounge. Have a bite and chill out in a comfy booth or get weird on the dance floor close to the speakers. Your call, but either way expect much lovin&apos; on the decks from the always epic music selectors. Jetting in from the UK and Ireland (via Berlin), we welcome two of the hottest producers on the scene right now in MANO LE TOUGH (Permanent Vacation) and MIDLAND (Aus Music/Phonica) for another Sunday afternoon of House, Disco & Techno in the heart of Hollywood. MIDLAND: Hailing from Leeds in the UK, Midland is one of house music&apos;s rising stars. Since his debut offering "Your Words Matter", with room mate and Hessle Audio chief, Ramadanman, his profile has shot up and continues to grow by the second. Strong remixes for a diverse collection of artists such as Guy Gerber, 2 Bears, Julio Bashmore & Caribou are testament to his considerable production talent, while his own tracks are a staple part of every major artist&apos;s box from Steve Bug to Sasha. "If you&apos;re in your room doing the dance when writing it, then you know people will do it on the dance floor when listening to it." MANO LE TOUGH: Mano likes "Nature, eating vegetables and reading" but thankfully for all of us, he also likes producing great music and delighting our ears with amazing DJ sets. Like his close friend, Midland, Mano (aka Niall Mannion) has been ascending to the top of the game at an alarming rate of knots. The Irish producer has been one of the busiest in the business over the last few years with constant high profile output on labels such as Permanent Vacation, Buzzin Fly and Mirau. As well as remixing for the likes of Tensnake, Aloe Blacc & Azari & III to name a few, Mano&apos;s own production skills have seen scale the heights with his own long player "Changing Days" released to critical acclaim in February of this year and spawning remixes from some of the scenes hottest names. With DJ gigs a plenty, he&apos;s certainly a man in demand as high profile appearances at the likes of Sonar, DC10 and Berghain can attest to. We&apos;re very excited to say that he will be adding our own anonymous dance floor to this illustrious list.